A risk has been reported in the devices as well as the MDM solutions after the incorporation of the change (Mobile Device Management solutions-MDM, Bring Your Own Device-BYOD ) for smooth workflow and management of an organisation. Appthority Mobile Threat Team, has reported that the configuration settings of managed applications in the the sandbox app within the Apple's iOS versions prior to 8.4.1 can be easily accessed by anyone. This proneness has been named as “QuickSand” as their is a loophole present in the Sandbox. Mobile Device Management (MDM) manages the endowment, security and integration of all the mobile devices, including smartphones, tablets, and laptops, in an organization. 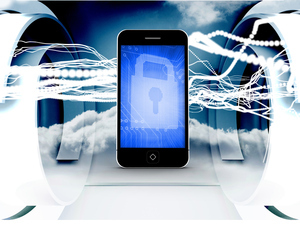 The MDM solutions aims at increasing the use of mobile devices, keeping them secure within the enterprise and simultaneously protecting the corporate network. Ashley Madisons Data leak : Another Shock!